We receive your registration information (name, address, email address, telephone, and so on..) and domain name payment. We inquire or query your domain name to our partner registrars whether this is a new domain name or not. If this is a new domain name, we will then submit your domain name and your registration information to our partner registrar, requests them to register your domain name immediately. During the process of domain name registration. Besides your registration information, some important information is also required to register your domain name. This important information is the name servers (Domain Name Servers), usually called DNS. All domain name must has two DNS ( Primary Name Server and Secondary Name Server) for successful registration. If you use the web hosting service from other companies, you must ask them their DNS information, then fills in their Primary Name Server and the Secondary Name Server information in the registration form. If the web hosting do not willing to provide their DNS information to you, never use this company. Of course if you register domain names through MyGreatName.com, you do not need to fill in the DNS information. We will provide two DNS to you for free. When the registrar receive all the domain name information. If this is really a new domain name, your domain name will be added to the domain list of Network Solutions. Therefore other people cannot register this domain name again. If the domain name zone file did not add to the two nameservers, all visitors on the Internet can never find your domain name! Network Solutions afterwards will add your domain name information (for example: domain name, nameservers, your name, address, telephone, and so on...) to their central database. Network Solutions is responsible to maintain this central database. This central database is called the whois database. 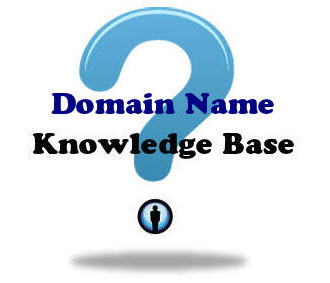 When you use our website to check the availability of domain name, our domain script will connect and send query to the whois database. The nameservers on the Internet are all connected and will sharing and updating information with each others. The information of your new domain name is actually "diffuse" from one nameserver to other nameservers on the Internet. This "diffuse" process is called propagation. When the information of your domain name is propagating to other nameservers, your domain name will become activate on the Internet. A new domain name may require a few hours to a few days to activate on the Internet.